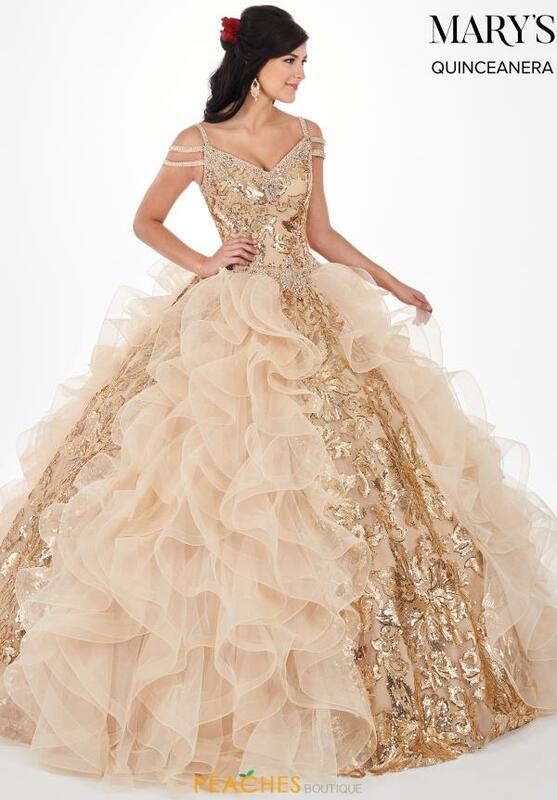 We are loving this one of a kind Mary's dress style MQ2065. This unique dress showcases a sweetheart neckline and straps that give it an off the shoulder illusion. A fitted bodice is adorned with unique sequins patterns, before leading into a lace up closure with a cut out in the back. This amazing ensemble flares out into a full ball gown skirt with ruffled tulle, as well as the continued sequin pattern from the bodice. Find more show stopping dresses at Peaches Boutique.